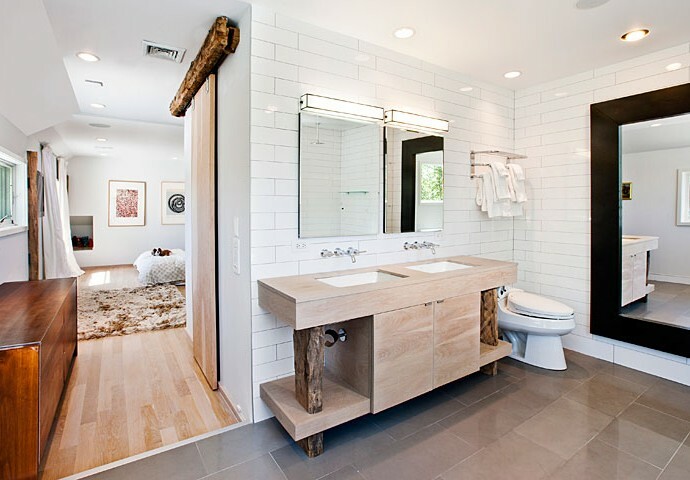 Exclusive: KDHamptons Design Diary With Hamptons Hotshot Architect & Builder, Nick Martin Of Sagaponack!! 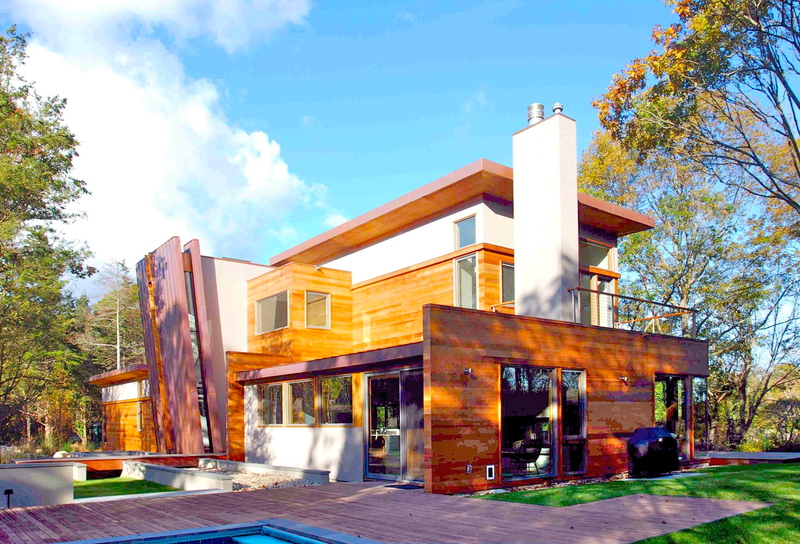 KDHamptons recently caught up with one of the Hamptons most sought after architects and builders, Nick Martin, AIA of Martin Architects PC and 4MA Building LLC. Compared to the traditional cookie-cutter shingled homes that are popping up every day in the Hamptons, Nick Martin brings a fresh approach to his designs [Check out the amazing photos from his projects below!] Drawing from his experience of living internationally and with interests as an artist, musician and craftsman, Martin sees every project as a unique opportunity to be inspired by nature, art and technology. Here is Nick’s KDHamptons Design Diary! Nick Martin: [principal at Martin Architects] We are establishing a new integrated approach to architecture and building in the Hamptons that involves Architectural residential design, as well as including services in feasibility studies and construction administration, interior design and furniture design, all with an option of utilizing our sister company 4MA builders. 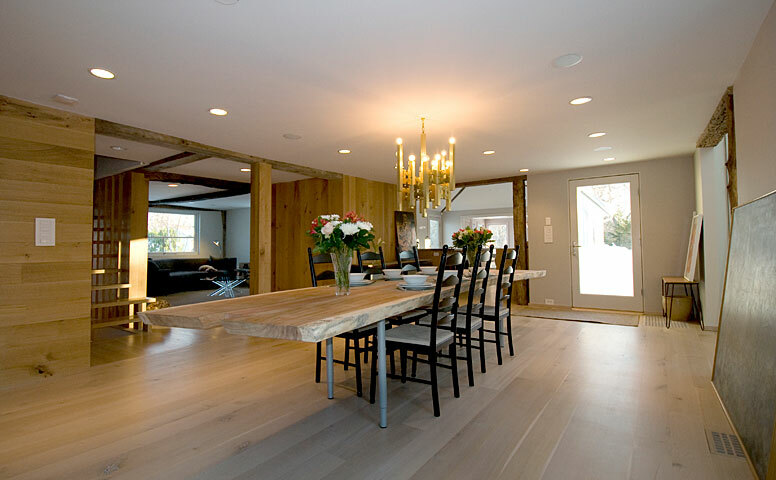 Each team boasts experience in construction that ensures a professional, seamless result. We are really a boutique firm offering the skills and experience of a large firm, with the personal service, motivation and responsiveness of a small one~ from historic to modernist projects. KDHamptons: Is Martin Architects primarily focused on contemporary projects? Nick Martin: We work on a broad range of projects from modernist to historic, MA and its associates have a history of appreciative clients and published works, all while providing pro bono work to the community. Commissioned projects can be found throughout New York State—including the Hamptons and New York City—and in Connecticut, New Jersey and Costa Rica. KDH: What brought you to the Hamptons? 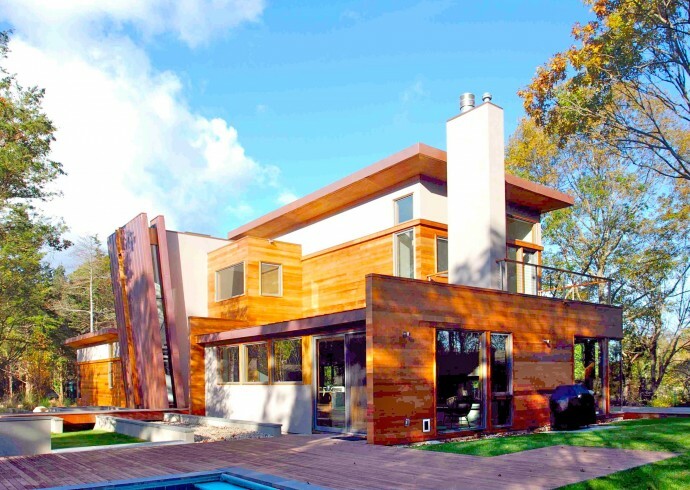 NM: After working for such firms as Gwathmey Siegel & Associates Architects, Carlos Zapata Wood and Gabellini and Associates in New York City, I moved to the Hamptons to continue working on high-end projects. I had experience in construction, and sought to create a multi-disciplinary skilled team able to handle complex projects. It is my nature to dig into everything we work on and stay involved through the end. I wanted to see projects from start to finish, roll up my sleeves and be involved from creative concepts through engineering and building challenges. KDH: Do you live in one of your own designs? 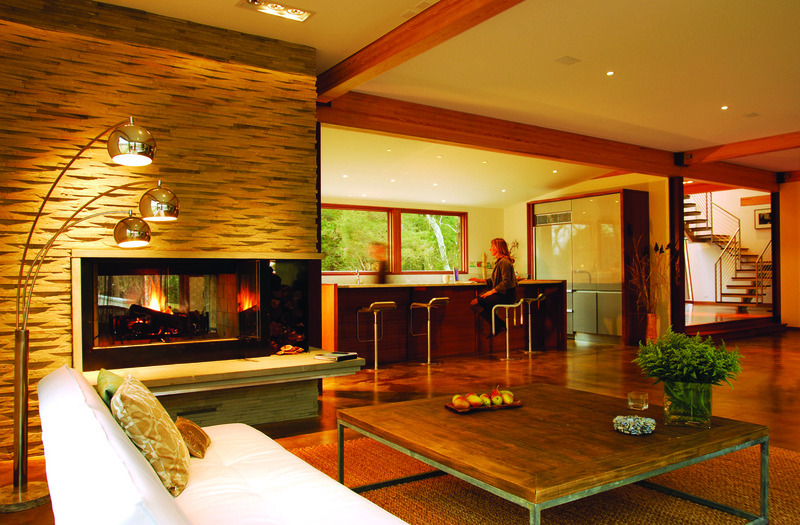 The Martin family residence in Sagaponack. The Martin's stylish dining room. KDH: What style are your customers requesting for their Hamptons home? Is any particular look trending? 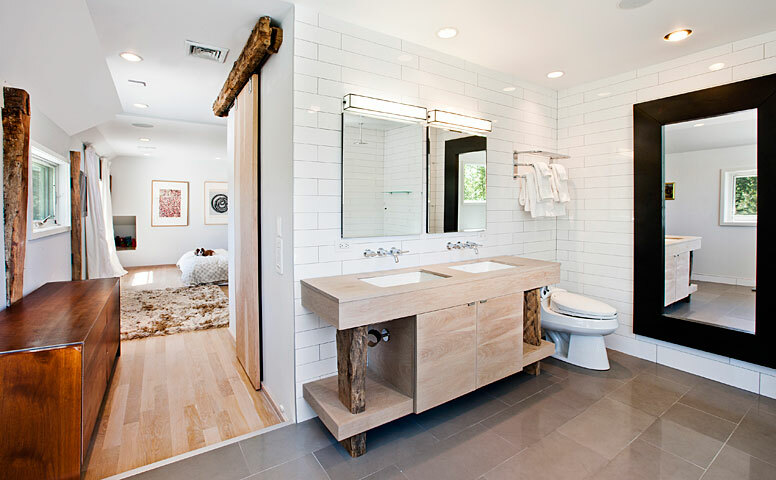 Do you focus on merging traditional and modern designs? NM: We receive a wide range of requests from historic to cutting edge modern. We see a trend heading toward a more unique and personal style, warm and fresh. Modern roots, human scale. Clean! Our focus through references and education is to create the best a house can be, offering the absolute best position within its site and sun angle, style and breath. 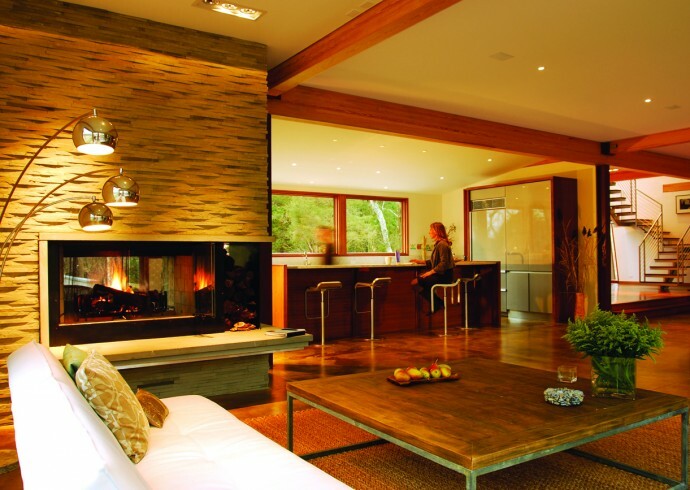 KDH: Are your clients requesting more green conscious homes? NM: Yes! Since it’s inception, Martin Architects has been involved with employing the latest and the oldest proven methods of “green” design. Re-use, passive energy design and venting, solar, geothermal and use of the highest R rated materials have been core to our practice. KDH: What part of the Hamptons are your clients most interested in? NM: Sagaponack, Water Mill South, and Amagansett South seem to be the hottest markets proving strong investment potential. KDH: Your wife also is a successful business woman who runs Estate Hamptons. Do you ever work together? 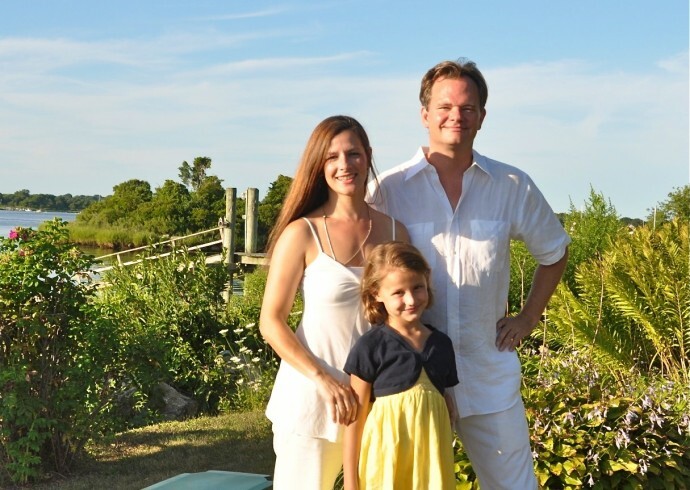 NM: Yes, my wife Christina Martin runs Estate Hamptons LLC, bringing professionalism and discipline from her experience working in NYC in advertising. Estate Hamptons oversees the detail oriented beginnings, middle, and end of a project and then continues the relationship with the client far after construction is complete. Her team takes styling houses for sale, interior design, maintenance and small projects to a new level of couture. Nick, wife Christina, and daughter Reilly Rose. They also have a newborn named Klaus. *For more information go click here!